Press Release/Mumbai, 23rd January 2014: It was definitely a clash of the titans. Both Jhunjhunwala and KC are loaded with stars and both have players playing in the Mumbai university team. Although KC were the champions of the inter collegiate tournament in Mumbai, Jhunjhunwala probably got the chance to avenge their loss in that tournament. The match was evenly poised and the audience definitely had to wait till the end for a nail biting finish. 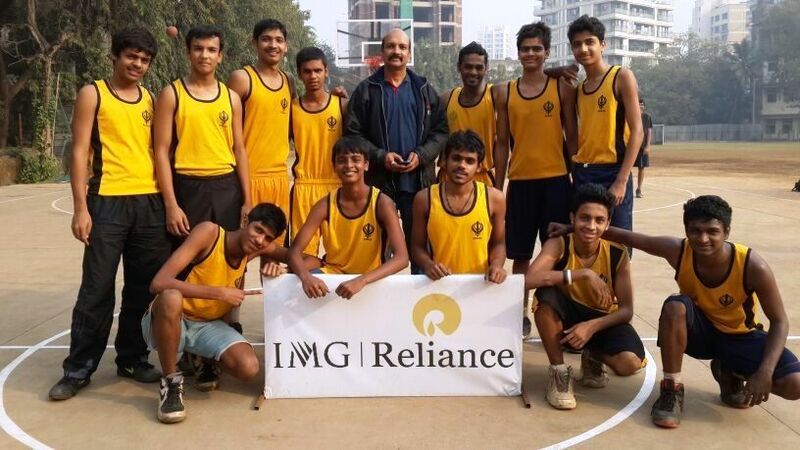 These are some of the games that make the IMG Reliance College League a great success. In the first quarter both teams were tied at 16. The second quarter saw marginal lead for KC with KC leading 35-31. In the third quarter, the scores were 53-51 with KC having a slender lead. The last ten minutes definitely increased the palpitations in the crowd. Both teams were equally matched and were trading baskets for baskets, each of them contested in their own right. But it required the buzzer to determine this game as KC had the ball in their hands and only the buzzer to stop them. Akib Khan shooting, the buzzer going off, all simultaneously. But the officials declared that the ball had not left the hand before the end of regulation time and thus ending the fate of KC. The margin of victory was just 1 point. Jhunjhunwala had managed to keep the KC boys at bay by winning the game 67-66. Nikhil Ayre was the pick of the players scoring a game high 28 points for Jhunjhunwala. Praful Chavan and Akansh Shetty who scored 18 points and 12 points respectively ably supported Nikhil. Akib Khan scored 25 points and Paras Patil scored 15 points for KC. In the girls’ league, Podar and Xaviers, the top 2 colleges in the inter-collegiate tournament have once again proved their mettle. Both teams haven’t lost a game yet and the expectations are there for them to meet in the finals of the league. Podar has defeated HR, Ruia College, MMK College and DJ Sanghvi, while Xaviers has defeated Khalsa, VJTI, Sophia’s and SNDT in the league games so far. The most likely scenario in the girls section would be that MMK and Khalsa finish second in their pool, Ruia and SNDT coming third and VJTI and HR coming in 4th rank thereby qualifying for the knock out stages.